Sylvia Rayfield and Associates, Inc. This unique book, based on the standards from the National Council of State Boards of Nursing Research Linking the Examination to Practice, provides a new way of learning. 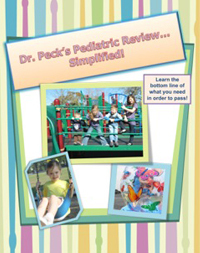 The book contains accelerated learning techniques that include color, images, audio/video opportunities, acronyms, and author experiences from a Pediatric Nurse Practitioner, mother and master educator. Contributor: Editor Sylvia Rayfield & Associates Inc.
© Sylvia Rayfield & Associates. All rights reserved.